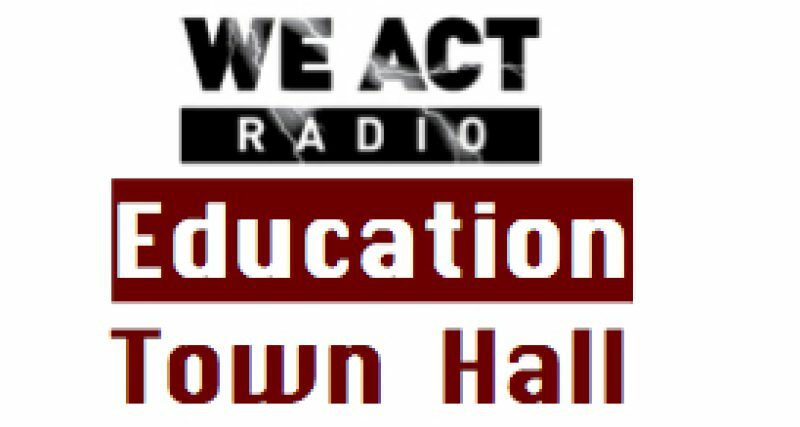 Scott Goldstein of EmpowerEd, and Markus Batchelor, of DC’s State Board of Education discuss charter school transparency and issues affecting the landscape of DC public schools on the March 14 edition of the Education Town Hall. Listen at 11 a.m. EASTERN on Thursday, March 14, via TuneIn or by visiting We Act Radio and clicking on arrow at upper left (NOTE: Not all “listen” buttons are working at present). Scott Goldstein is the founder and executive director of the teacher advocacy organization EmpowerEd, a local volunteer organization comprised of private, charter, and public school teachers advocating on a variety of issues, including transparency, reducing turnover, and adequate budgets. Scott spent ten years teaching in DC in both the charter sector and in DCPS as well as international settings. Scott has served as a teacher trainer, facilitator, and school leader and has advised local education leaders on education policy. He has also written extensively on youth and politics, including authoring two books on youth involvement in the political process. The youngest person ever elected to the DC state board of education (SBOE) at the age of 23, Markus Batchelor is the Ward 8 SBOE representative and recently elected that body’s vice president. He has also served as an ANC commissioner in Ward 8 and has worked for years in DC for voting rights and statehood as well as a family and youth advocate. He is a native Washingtonian, having attended Martin Luther King elementary, Hardy middle, and Thurgood Marshall PCS, and a member of EmpowerEd’s advisory board. Markus’s “day” job is helping support young elected leaders across the country through People for the American Way’s Young Elected Officials Network. Our discussion will focus on the landscape of DC’s public schools in the wake of the STAR rating and recent initiatives of EmpowerEd, including a push for charter school transparency (see their petition here)–and what this work means for current and future governance of DC’s public schools and empowering teachers (and hence students, families and schools) in DC.